First week into 2017 and we are proud to announce that we will be opening at Sunrise Tower, Persiaran Gurney, Penang tomorrow! Come by and enjoy our opening promotions! Valid until 6 Feb 2016 or while stocks last. 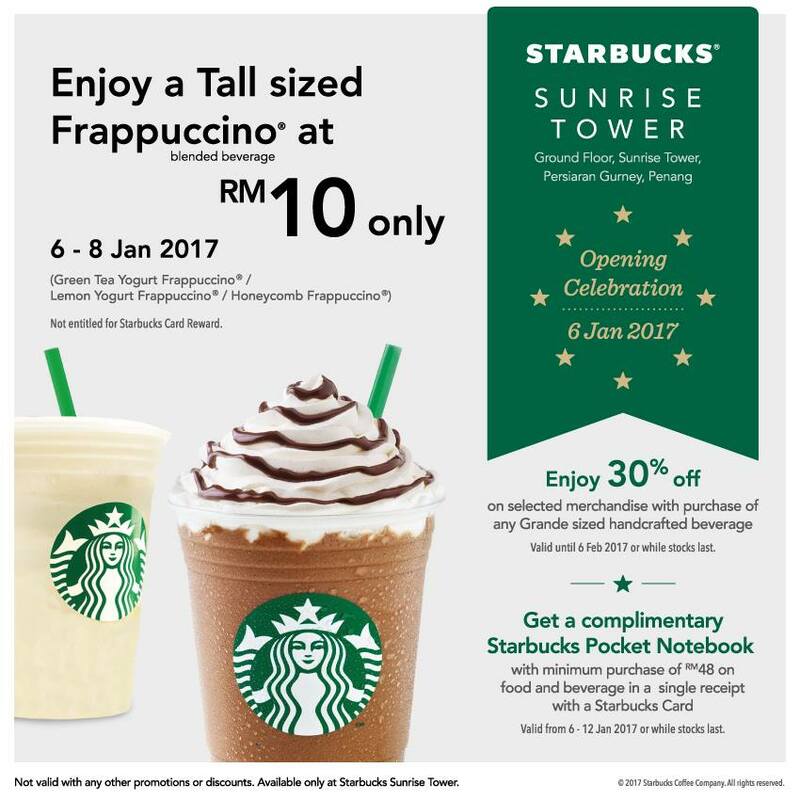 with minimum purchase of RM48 on food and beverage in a single receipt with a Starbucks Card. Valid until 6 - 12 Jan 2016 or while stocks last.